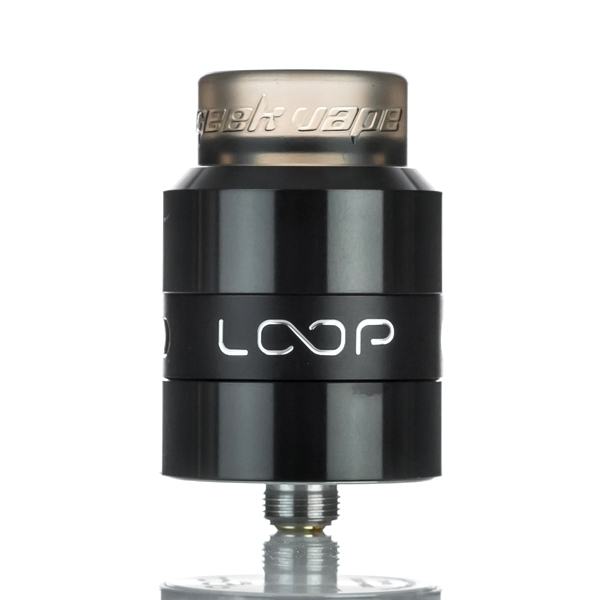 Buy Geekvape Loop Bottom Airflow 24mm BF RDA for £22.00! 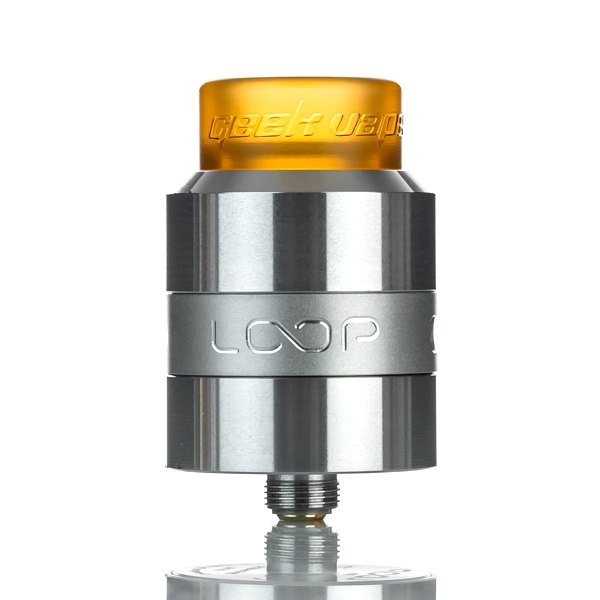 The Loop RDA is an all new RDA featuring a ‘W’ shaped build deck incorporated with surround airflow design, which ensures full effectiveness of the airflow that significantly enhances the flavour while minimizing leakage. 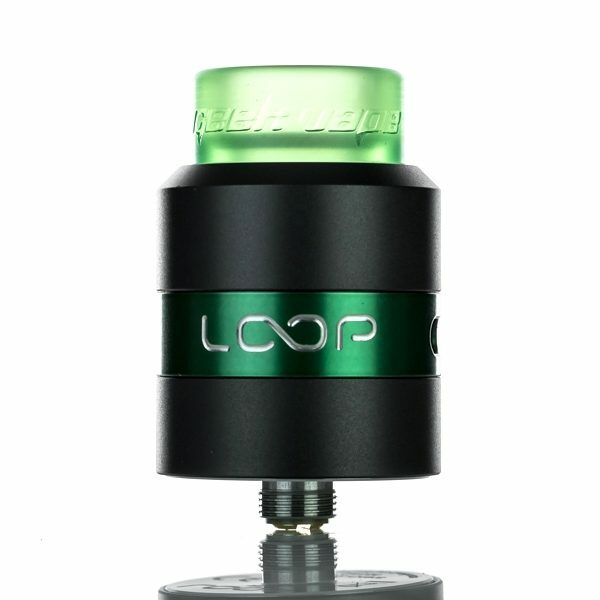 The Geekvape Loop RDA is a rebuildable dripping atomiser which utilises a very interesting deck design. The build deck is shaped like a W with four post holes allowing you to use this RDA in both single coil and dual coil configurations. 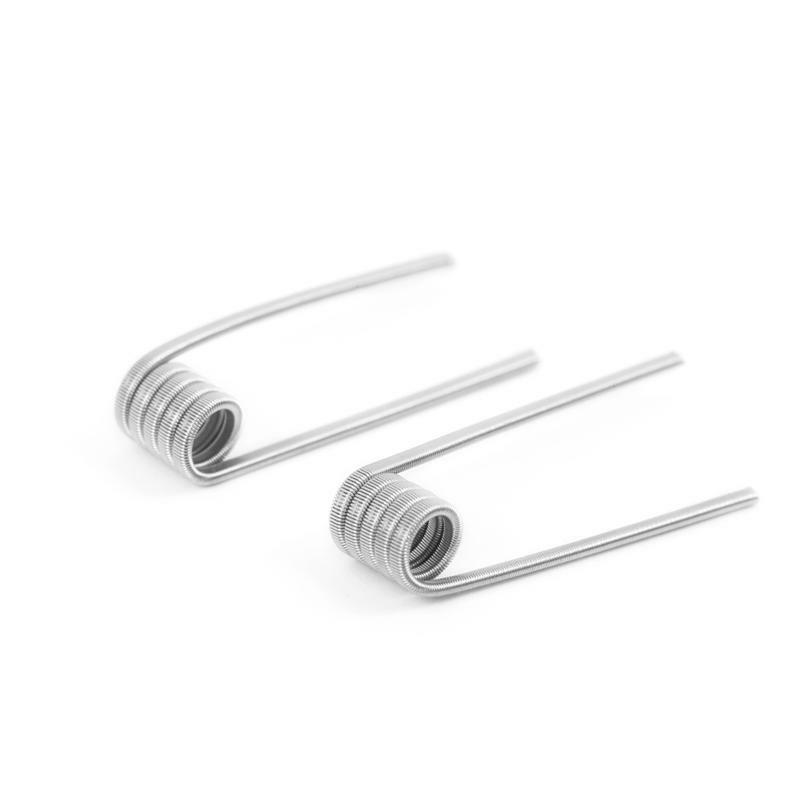 The W shaped deck allows the airflow to be angled in such a way that it surrounds the coil and drawers air in from the bottom of the RDA and up through the coil. This design has been optimised and finely tuned with nothing but flavour in mind and makes for a wonderful vaping experience. 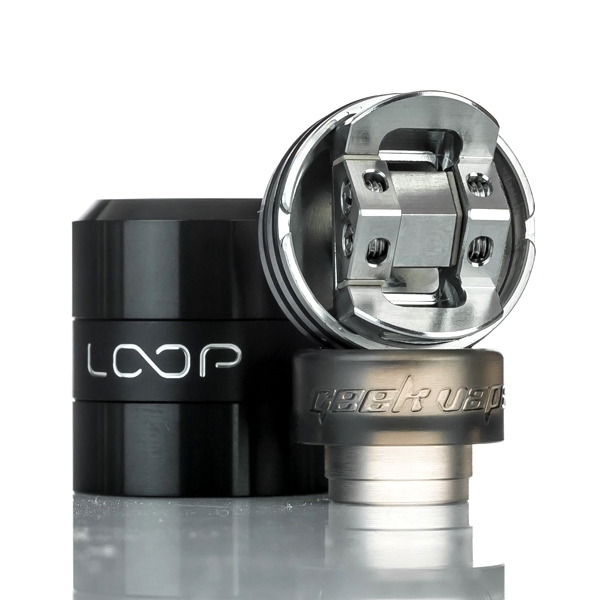 The Loop also comes with a squonk been so you can use it on top of your favourite squonk device, or you can install the regular 510 pin and drip directly onto your coils through the large and open 810 drip tip. Angled Bottom Airflow Design – Fully adjustable.